Composed by Isaac Albeniz (1860-1909). Music Sales America. Classical. Book Only. Union Musical Ediciones #MUSUMG20388. Published by Union Musical Ediciones (HL.14010635). 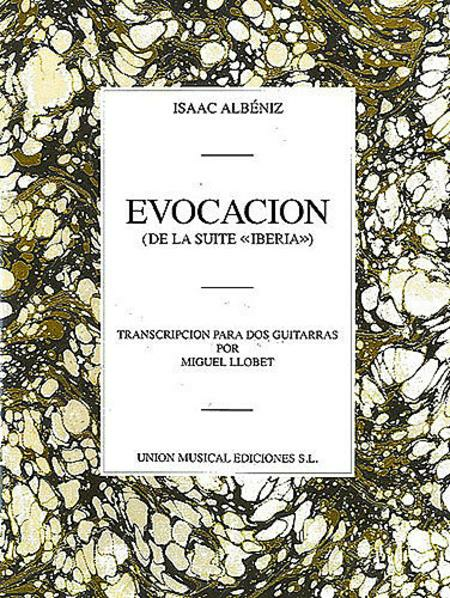 Isaac Albeniz' 'Evocation' from the 'Iberia' suite, transcribed for two guitars by Miguel Llobet. 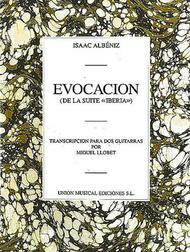 Isaac Albeniz' 'Evocation' from the 'Iberia' suite, transcribed for two guitars by Miguel Llobet.